Jaime Lerner brought a couple of Curitiba buses and their associated bus stops to Istanbul as a demonstration. They came packaged in containers and I convinced Jaime that it would be a great idea to run a demonstration in Auckland on their way home. At first the Council was enthusiastic, but then their cold feet turned to stone. However it was a win. 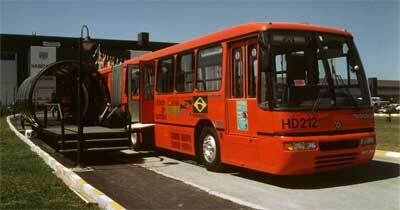 The link bus was established to run the circuit I had proposed for the Curita bus. Suddenly the radial city was transformed into an urban design loop.